So I finally got around to Payless and picked up 2 pairs of shoes! From the line BRASH since they have buy one get one half off! I love the shoes and there so comfortable too. One thing I don't enjoy about Payless is that the shoes are a lot less on the US website, the Canadian dollar isn't that much less then the US! 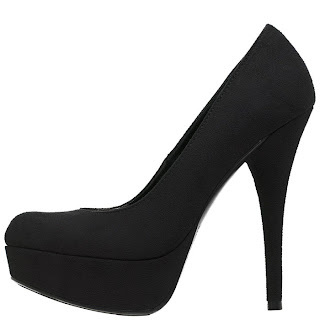 For the platform pump its $34.99 on the website and its $49.99 in the stores. In the end I did the math and with the by one get one you end up paying about the same. I say always wait for sales :P So have you got any new shoes that you love? Or ones that you want to buy soon?